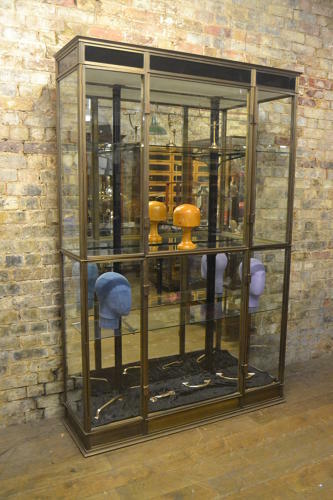 We have this gorgeous tall shop display cabinet, made of bronze, dating to the 1930s. We're adding a mirrored back, but this cabinet is fabulous as it is - perfect for displaying a range of products. It has four doors to access the display, and has quite large proportions.